Have you reached a plateau in your mountain biking and can't seem to ride faster on technical terrain without fear of falling off? Maybe you've tried a few red or black graded backcountry or trail centre trails, but lacked the confidence to hit technical sections as hard as you would like? Our two Singletrack Improver coaching courses we will build upon your Fundamentals to give you a toolbox of mountain bike skills that you can apply to any terrain, in any location, and any in conditions; be it a gnarly back country trail in The Lakes or classic red route at a Welsh trail centre? 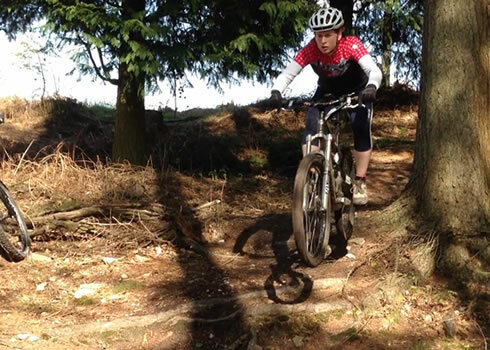 Following Singletrack Improver (part 1) you will see an immediate improvement in your riding and a boost in your confidence on technical trails. You will be able to tackle rougher terrain and trickier corners with greater control and negotiate bigger trail obstacles with confidence and commitment. 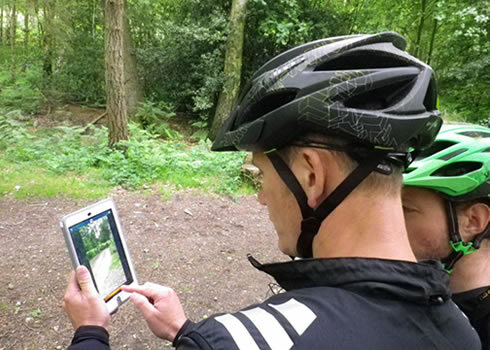 Projecting your mind down the trail - "The Looking Epiphany"
If this sounds beyond your current skill and fitness level, please choose our Singletrack Fundamentals course instead or have a look at our choosing the right course FAQ page. 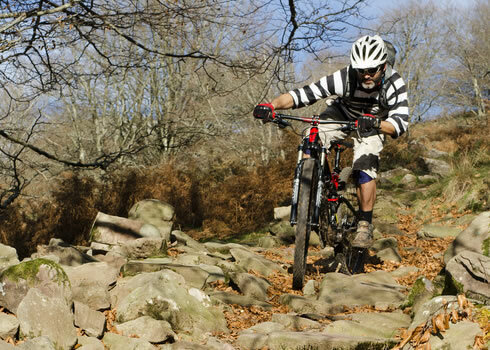 You may wish to consider upgrading to our Mountain Bike Improver two day course. 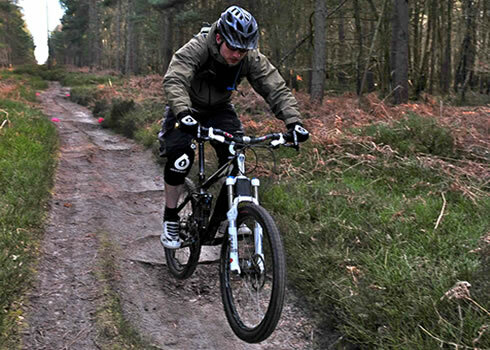 Visit the Mountain Bike Improver course page for more information.